This villa will be available on November 2020, but you may use this villa for comparison. 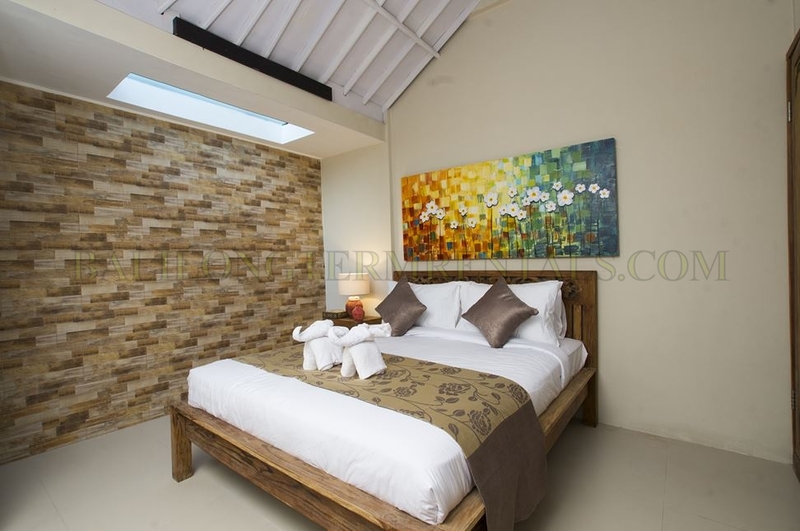 This is 3-bedroom villa, built in a modern style but decorated in a typical Balinese style. 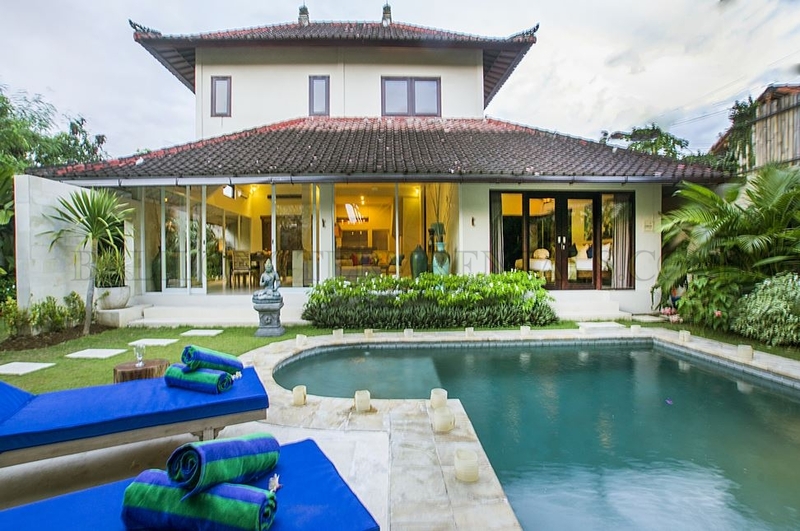 This opposition of style give to the villa a unique concept which very beautiful and relaxing. Inside there is many pieces of wood, like the dining table and few doors which also bring a quite natural atmosphere, completed with all the greenery in the garden. 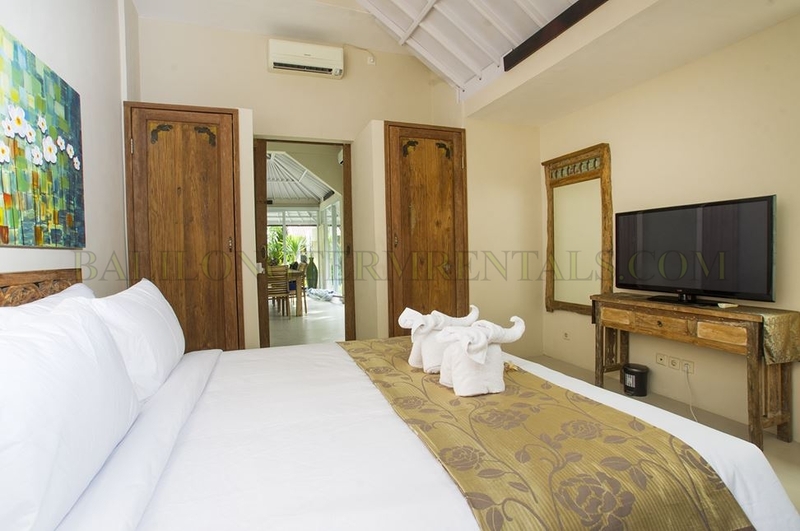 Around the pool the vegetation is lush, there are a lot of palms and banana trees which is a truly enjoyable view.Enjoy Balinese tropical home with your family and friends in style with total privacy and within the heart of Petitenget, Seminyak. 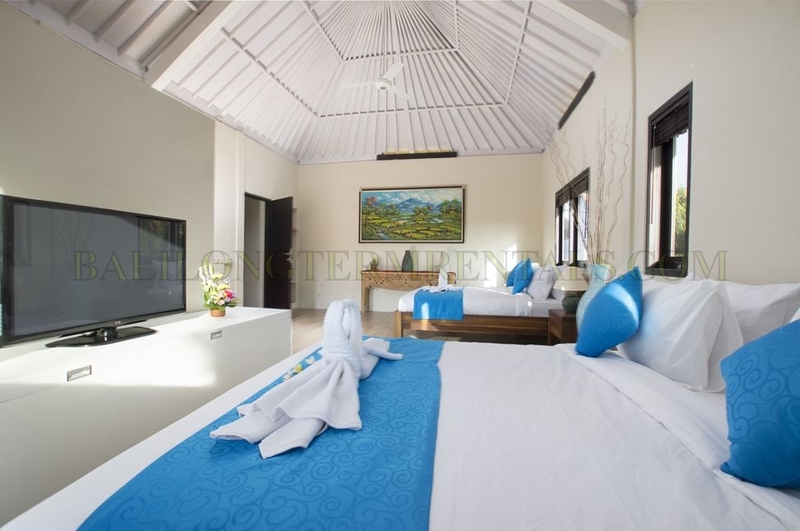 This 3-bedroom villa is built in a modern style, but is decorated in a typical Balinese style. 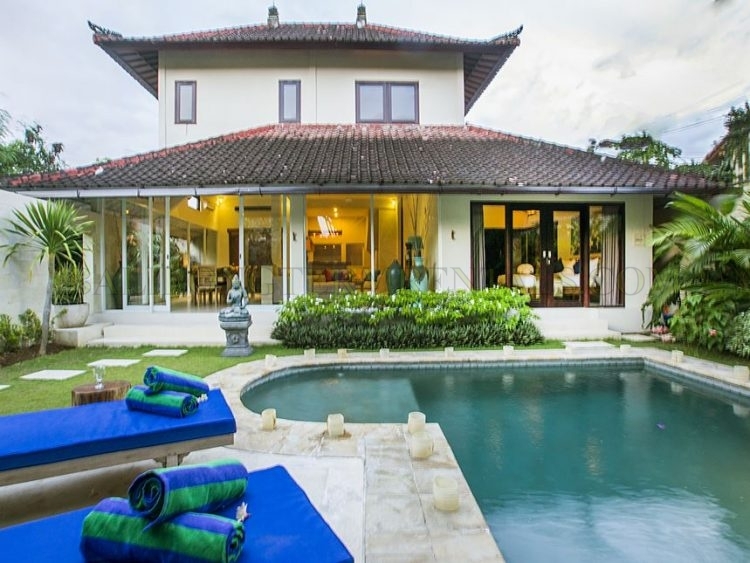 This fusion of styles gives the villa a unique and relaxing feel. 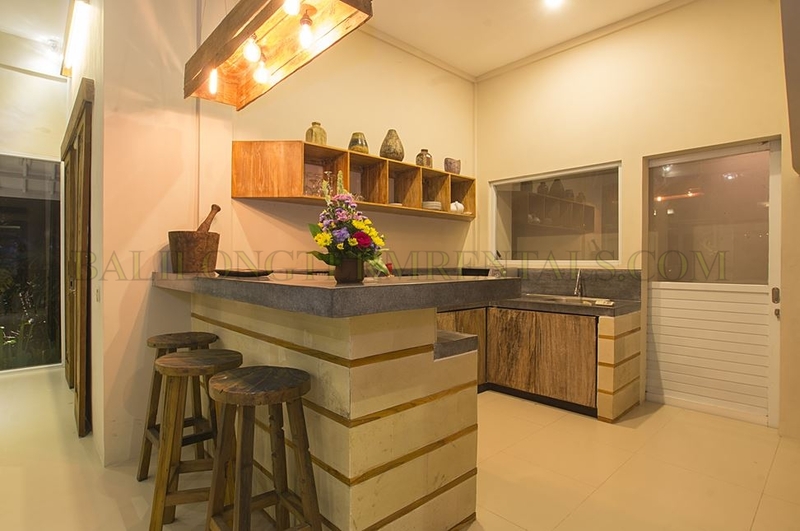 Inside there is much wood, such as the dining table wooden doors, which together with the greenery in the garden produce a serene environment. Around the pool the vegetation is lush, and there are palms and banana trees that present an attractive vista. 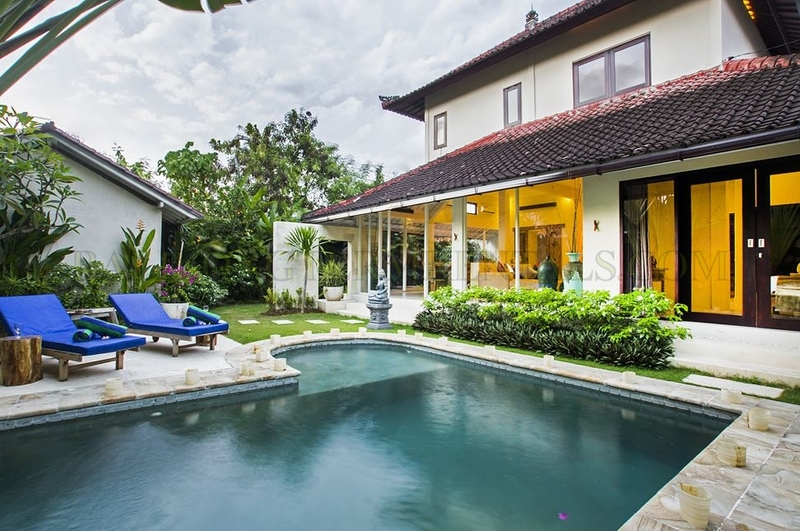 Enjoy this tropical Balinese home, superbly located in the heart of Petitenget (Seminyak) with your family and friends in great style, and in total privacy. 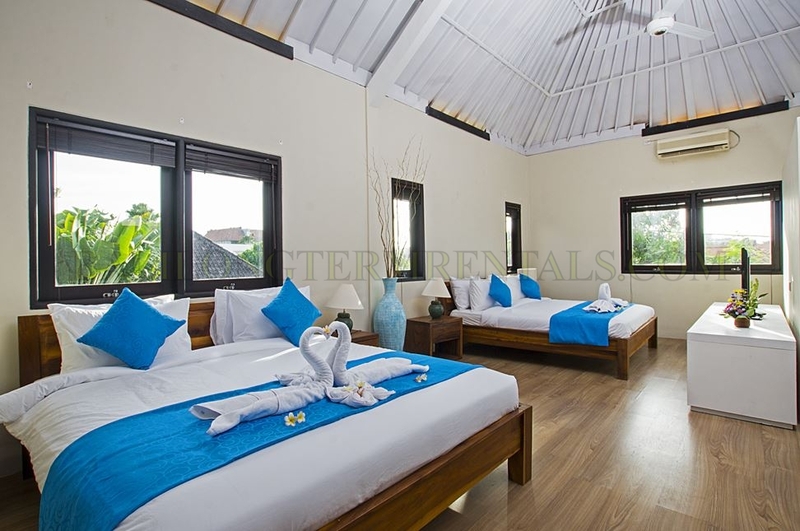 Bedrooms: 3 bedrooms, two with king size beds, and one with tw0 queen size beds, and sleeping 8 guests in total. 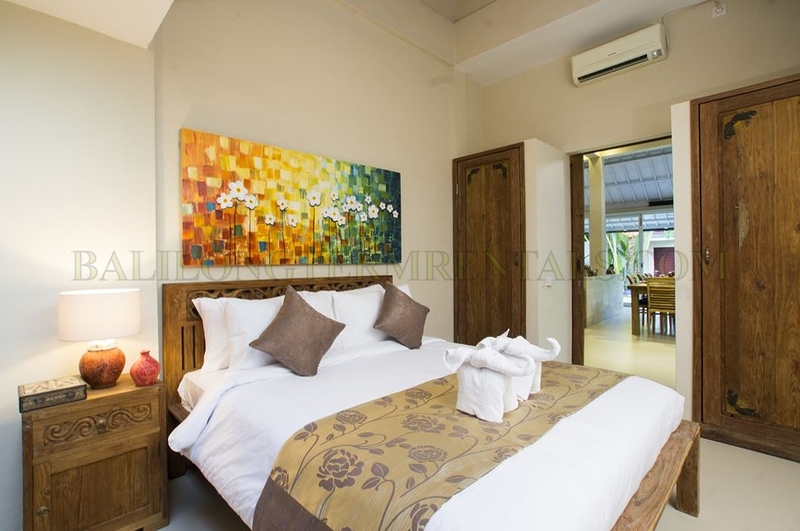 Each bedroom has en-suite bathroom, AC, flat TV and safety box. Swimming pool: 7 x 4 metre private pool that benefits from the sun for much of the day. 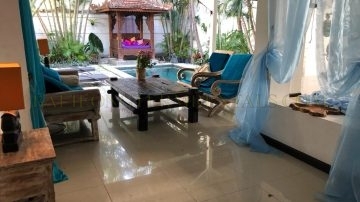 There are also sun lounges by the pool for relaxation and sun bathing. Bathrooms: First ensuite has bathtub & shower, double sink vanities. Second ensuite has shower and single vanity. 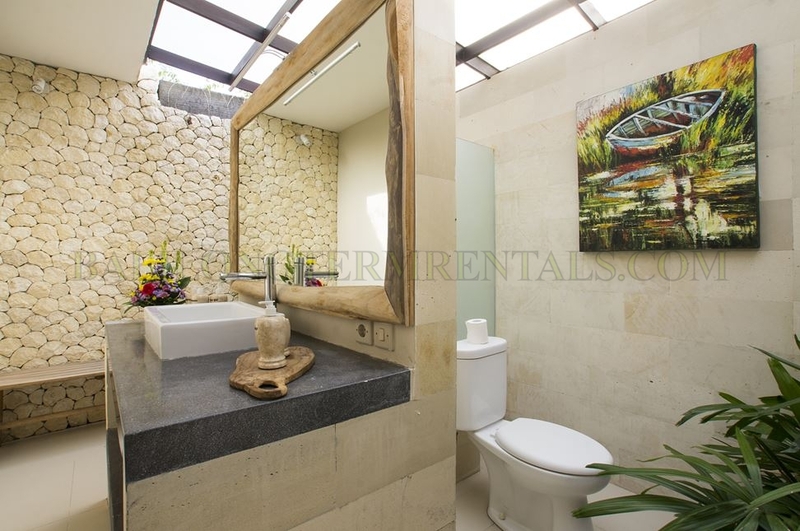 The third bathroom is located upstairs, and features double vanities with a standing rain shower. Each ensuite has a toilet and bathroom amenities such as soaps, shampoos, hair dryer, bath towel, hand towel and pool towels. Entertainment: DVD player, flat screen TV with international channels, Wifi. 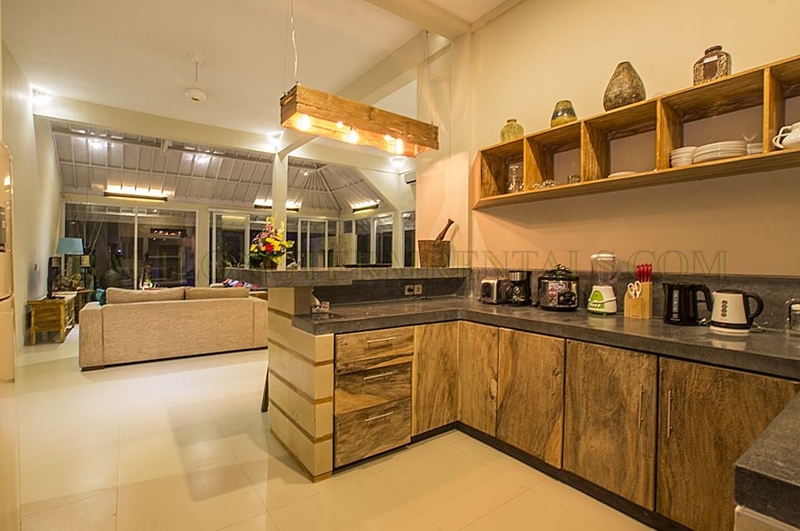 Kitchen: Fully equipped with modern equipment such dinner sets and cutlery, refrigerator, microwave, toaster, juice mixer, rice cooker, coffee maker, water dispenser, 4 gas hobs, relevant utensils and crockery. 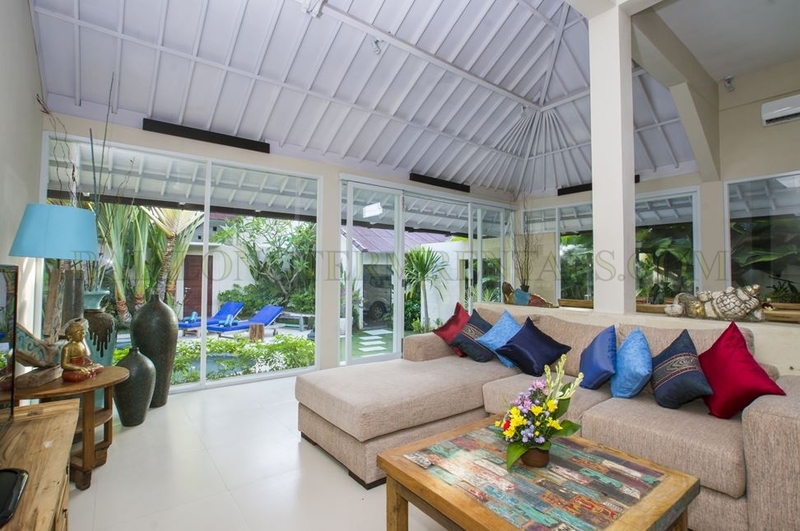 Living Area : Enclosed living with air-conditioning features comfortable sofa beds and Flat screen TV (with cable) for entertainment and a relaxing time with family and friends. Dining Area: Wooden dining table with 8 chairs. 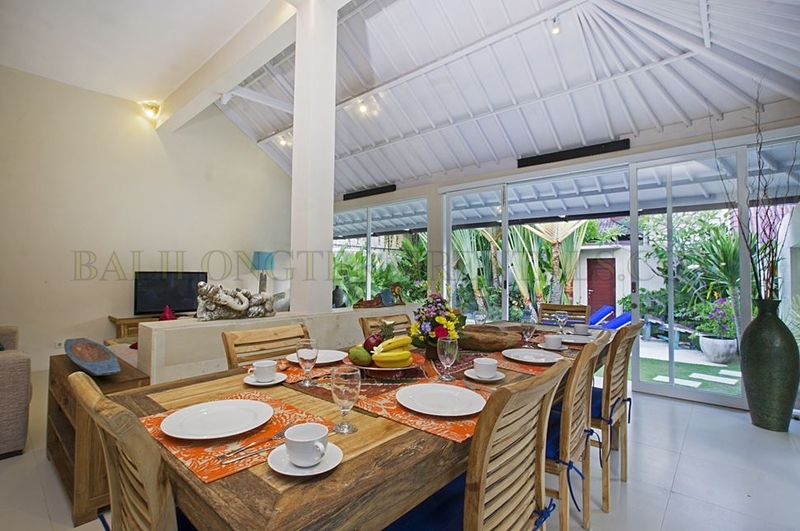 Rental Advantage: Arushi 1 and Arushi 2 are connected by a gate that enables them to be rented either separately, or as a 6 bedroom villa sleeping 14 guests, which is a rarity, and highly desirable, in Seminyak. 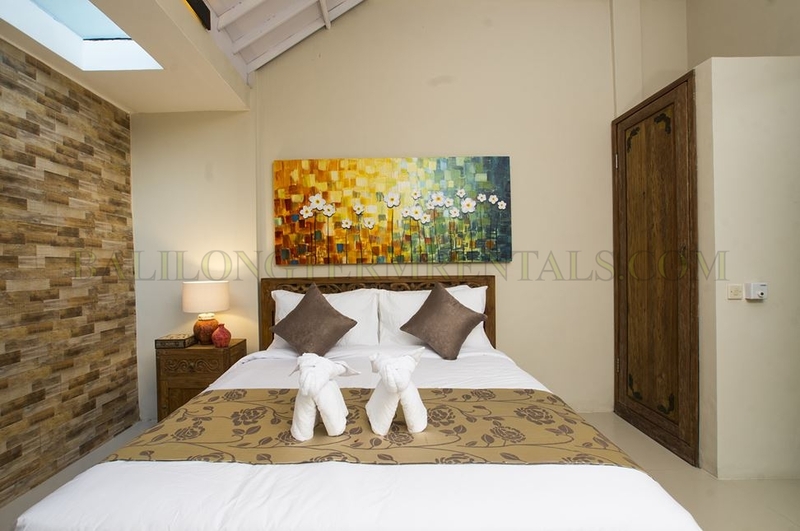 Bedrooms : 3 bedrooms with 2 king size beds and twin queen size beds, each bedroom has en-suite, AC, flat TV and safety box. 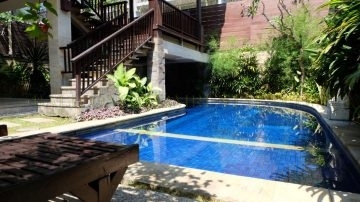 Swimming pool:Private pool in the sun with size 7 x 4 meters. There is also sun loungers by the pool to relax and sun bathing. Bathrooms : 1st ensuite has bathtub & shower, double sink vanities, 2nd ensuite has shower and single vanity. 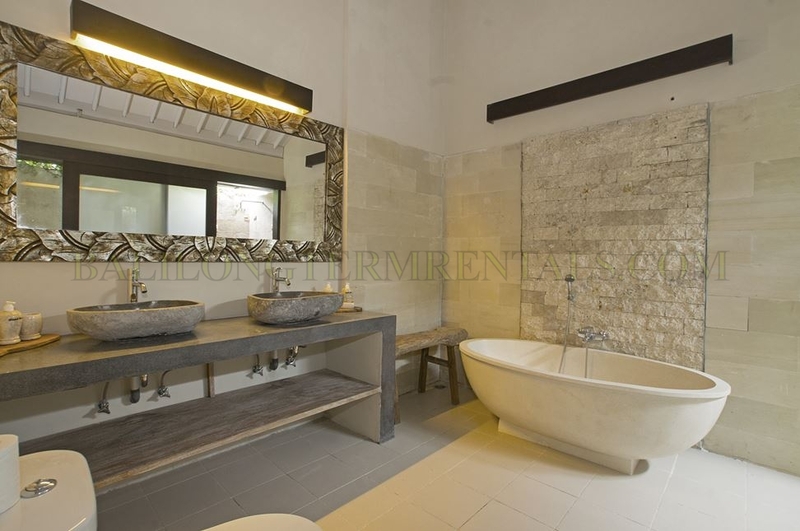 The 3rd bathroom is located upstairs has double vanities with standing rain shower. Each ensuite has toilet and bathroom amenities such soaps, shampoos, hair dryer, bath towel, hand towel and pool towel are provided. Entertainments : DVD player, flat screen TV with international channels, Wifi. 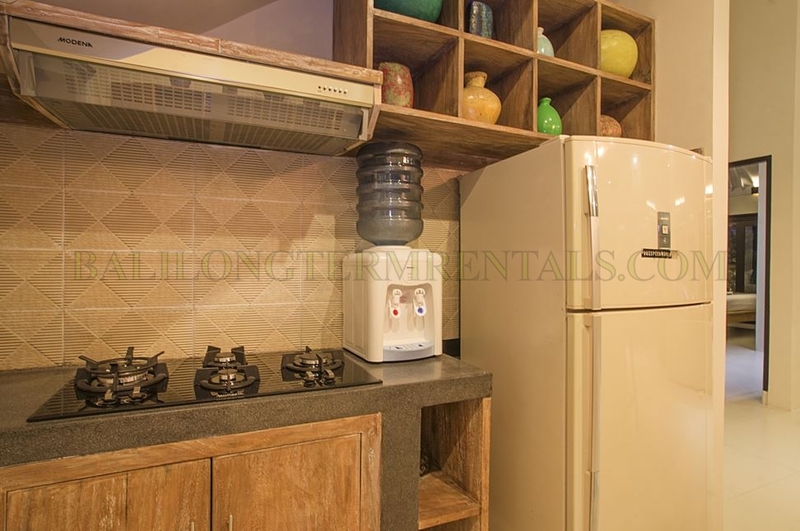 Kitchen : Fully equipped with modern equipment such dinner sets and cutlery, refrigerator, microwave, toaster, juice mixer, rice cooker, coffee maker, water dispenser, 4 gas stove, relevant utensils and crockery. 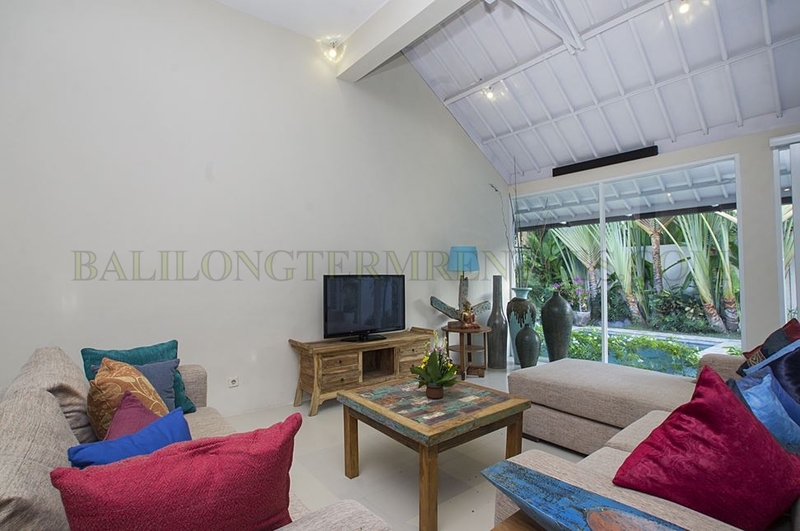 Living Area : Enclosed living with air-conditioning features comfortable sofa beds and Flat screen TV (with cable) for entertainment and relaxing time with family and friends. Dining Area : Dining wooden table and chairs for 8 people. 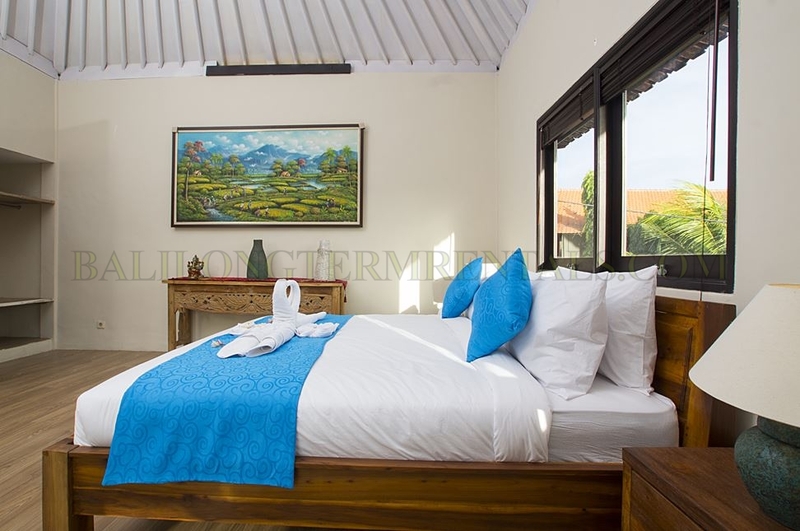 Rental Advantage: This villa connected with SE0966Y by a gate that enables them to be rented either separately, or as a 6 bedroom villa sleeping 14 guests, which is a rarity, and highly desirable, in Seminyak.